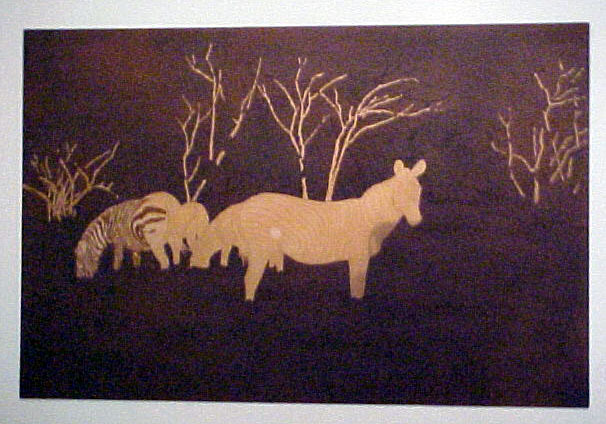 This image is based on a picture I took while I was visiting Kenya in December of '90. Here's the tracing, done from the photograph. Somewhat edited. Kind of messy, but it'll get cleaned up later. stripes with a small brush and some more asphaltum. 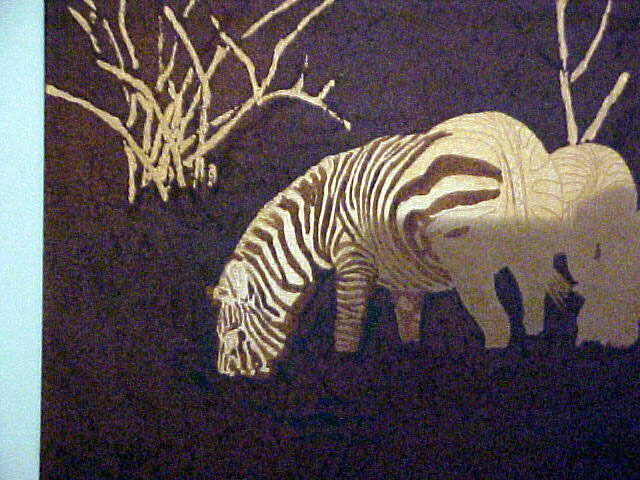 Where you see dark stripes on the zebra on the left, that's asphaltum which will block the action of the etching fluid. You can't see it, but there's aquatint (tiny dots of rosin melted and stuck to the plate) all over everywhere. It's under the asphaltum in the dark parts, and on top of the copper in the shiny parts. Where there's no asphaltum, the etching fluid will eat away the copper around and between the dots, creating a tone. 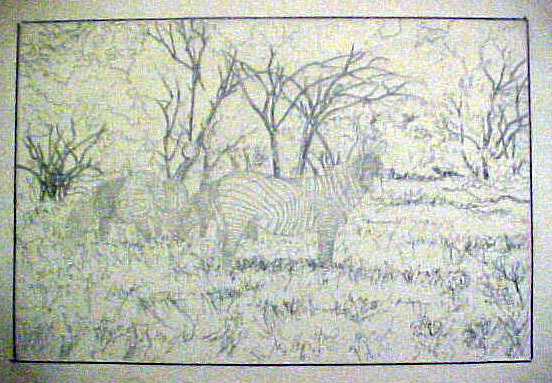 So as you've guessed by now, where you here see dark stripes, in the print you'll see white stripes and vice versa. And you'd better keep your stripes straight. One stripe the wrong color, and you have big trouble from one end of the zebra to the other. This is just a little bit closer look at the stripes going on to the zebras.